You may already know exactly what you want and have prepared detailed Room Data Sheets and an Employer’s Requirements document. We interpret this directly onto your project floor plans and can offer constructive input if you wish. Maybe this isn’t the case. Perhaps there is an existing home you wish to replicate. Following a visit to the home armed with a digital camera and a tape measure we are able to copy the layouts, source the light fittings, match the call system and identify the fire system. Based on this we prepare and offer drawings for comment and demonstrate samples for approval. If you want, for example, a particularly impressive reception lobby then we welcome a challenge and can suggest lighting designs. On request we once did a starlit sky effect using fibre optics. We ensure that the end result not only looks good but performs exactly as it should and is easy to use. There’s also the technical bit: the design will be checked for lux levels, incorporate value engineering, ease of maintenance and make use of recognised equipment. Gather information: Room Data Sheets; Employer’s Requirements, Performance Specification, photos we took of the previous home, design meeting notes, schedule of light fittings. Check lighting levels, compliant fire alarm, energy efficient lighting controls, spacing of call system displays, plug sockets for the cleaners’ vacuum cleaners. 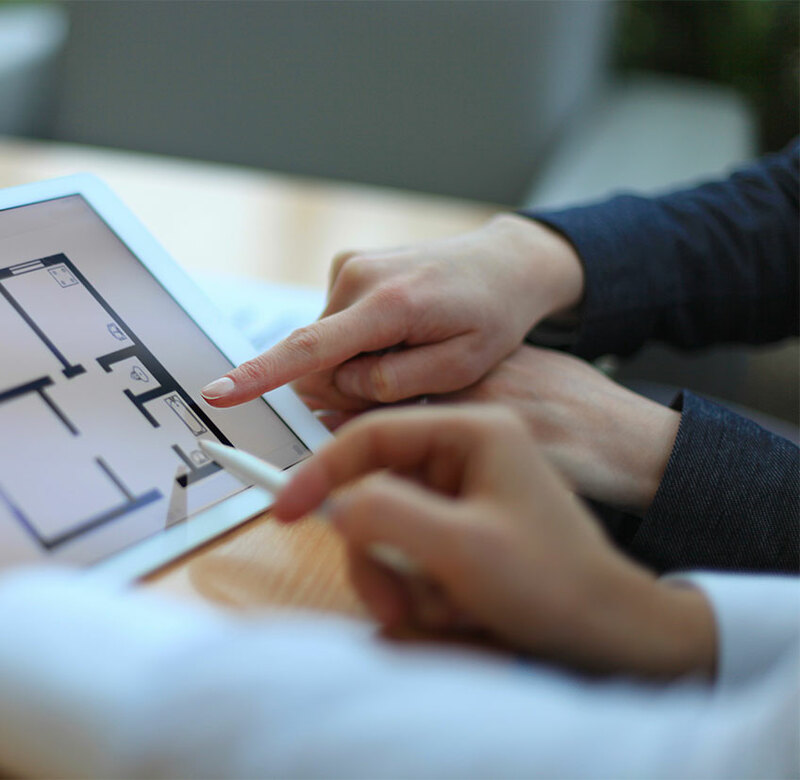 Show them on a clear floor plan with a detailed drawing key. Take them to a design meeting armed with a red pen. Listen. Make notes. Take on board suggestions and a changes wish list. Amend in-house and re-issue the same week. Check. Re-check. Issue to site. Sounds straight-forward enough, but not every electrical company can or does do this!